Ibn Sīnā (Avicenna) was born in 980 in Buhara, and died in 1037 in Hamadan, Persia (now Iran). He is a physician, physicist, writer, philosopher and scientist. He was known in the West as the founder of modern science in the medieval ages, the leader of physicians and dubbed as the “Doctors’ Doctor”. His fame rests on his book, Al-Qānūn fī al-Ṭibb (The Canon of Medicine) which was regarded as the principal medical work in the field of medicine for seven centuries and this book remained as a reference source for medical studies in the universities of Europe until the end of seventeenth century. If now we examine his work “The Canon of Medicine”, we find that he has an extensive explanation of anatomy and in his work in which he gives a clear definition of some organs which can be visualised with today’s some special imaging devices, today, there are still many unresolved and unstudied methods. 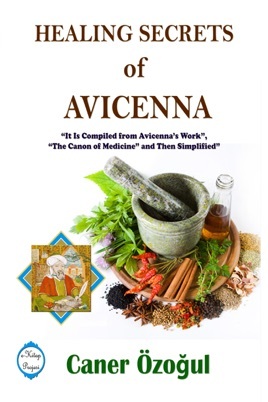 Ibn Sina’s curative recipes were used in the European medicine for many centuries even after his death. The famous astronomer Copernicus, also a nephrologist, has healed using the recipes of Ibn Sina who has lived before his birth over 500 year ago.